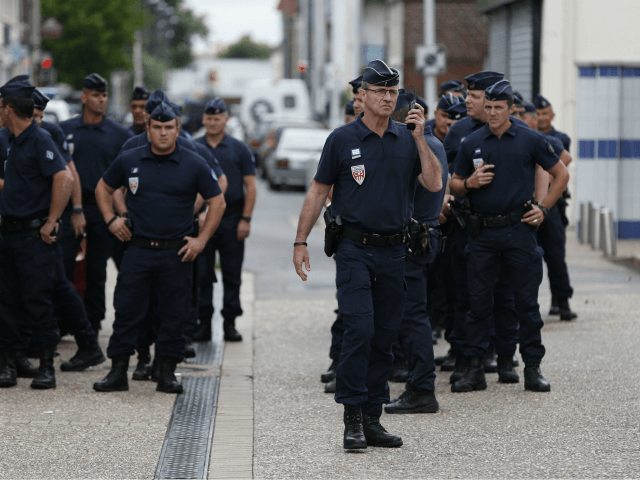 Three French intelligence agencies are alleged to have had prior knowledge of one of the radical Islamic terrorists involved in the murder of elderly priest Jacques Hamel in 2016 but due to poor communication, never shared their information. The revelations come from well-known French satirical paper Le Canard Enchaîné which has had a history of breaking several stories including the “fake jobs” scandal of former French presidential candidate François Fillon. Earlier this month, it was revealed that the Intelligence Directorate of the Paris Police Prefecture (DRPP) had been monitoring one of the attackers, radical Islamic extremist Adel Kermiche, on the encrypted messaging service Telegram as well as on social media. It has also been alleged that both the Military Intelligence Directorate (MRD) and the Central Intelligence Service Territorial (SCRT) had Kermiche under surveillance for weeks before he participated in the murder of Father Hamel, Le Figaro reports. Shortly before the attack, which occurred on July 26th 2016, agents from the MRD noticed that Kermiche had been making a number of threats against churches in particular. The information was passed on to the Central Directorate of Internal Intelligence but the agency did not act. Five days before the attack, the Central Intelligence Service Territorial (SCRT) transmitted a message to police services saying that a man, whom they referred to as “Jayyed”, was preparing an attack on a church. But due to the fact that emergency procedures were not followed, the information was not prioritised. Shortly after the murder, the Roman Catholic church announced that Father Hamel had been a Christian martyr and the Archbishop of Rouen encouraged pilgrimage to his tomb. Pope Francis has not only declared Father Hemel a martyr but also announced that he would begin the process to elevate the priest to sainthood.